A98L-0031-0011#L BR-AGCF2W for FANUC and other controllers. A98L-0031-0011#L BR-AGCF2W for FANUC Alpha Servo drives and other controllers. Height: 45.5 mm. Width: 34 mm. Thickness: 17 mm. 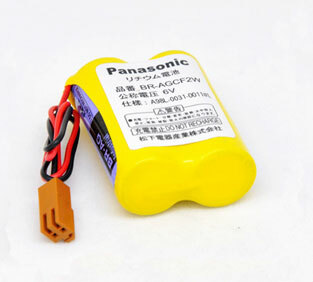 This FANUC A98L-0031-0011#L PLC battery comes with a one year manufacturer's warranty.